This year has flown by and it is hard to believe that we are now well into winter. We have had 7 weeks of roadworks due to a new water main being laid to Dunning and full access to Marshall’s Garden Machinery has been restored. 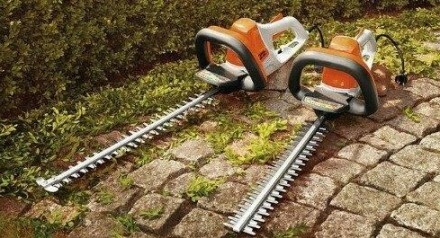 Chainsaws are always in demand at this time of year and we have an excellent range of battery, electric and petrol saws, starting at £179.00 – well worth popping in to have a look at them. Stihl are thought of as being top quality but expensive, now they have introduced some good value ranges which are very reliable and offer the same excellent back up and availability of spare parts when required. Buy from Marshalls and before you take your purchase home, we will have built it up, checked its performance and shown you how to operate it safely. We also will emphasise the need for safety clothing which is a must for all users. Now is the time to have your garden tractors, mowers and strimmers serviced ready to be stored for the winter. Ensure that your shed is mouse proof as mice love to chew primer bulbs, electrical leads and grass bags! Any petrol that you have left in your can should be disposed of as unleaded petrol can go off after 6 weeks. Dispose of any unused petrol into a petrol car. We now have the full range of the Stihl Compact battery machines, these are very competitively priced and are ideal for the smaller gardens. The HSA56 hedge trimmer is surprisingly light at only 3.7kg, the battery life is up to 40 minutes constant cutting and the HAS 56 is extremely quiet. Once you have cut your hedge, the BGA 56 is a powerful way to clear up leaves and the rest of the garden. It costs £199.90. This machine will clear up to 600sq m. on a single charge, there are no worries with petrol or cables, and it’s quick and very easy to use. For your firewood the MSA 120 C-BQ is a lightweight, quiet, powerful chainsaw and is the perfect tool giving up to 100 cuts. Please remember that using any chainsaw you should always wear safety gear including chainsaw boots and trousers (steel toecaps do not give full protection). This saw costs £249.00 including the battery and charger. For your winter pruning and tidy up a Viking shredder come in to its own, taking away the need to fill the car with pruning’s and branches to haul off to the dump. The mulch can be used for weed suppression in the flower beds or on your paths. 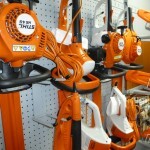 Once you have purchased your Stihl or Hayter products from us, they are registered with the manufacturer for warranty. With these, and most brands we stock, we have a very good availability of spare parts and these machines can be repaired quickly. For winter warmth we stock Calor Gas, both Butane and Propane, as well as peat briquettes and firewood. We are closed over Christmas and New Year from the 23rd December until the 9th of January. Thanks for using Marshalls throughout the year – we wish you a very happy Christmas and a good New Year.